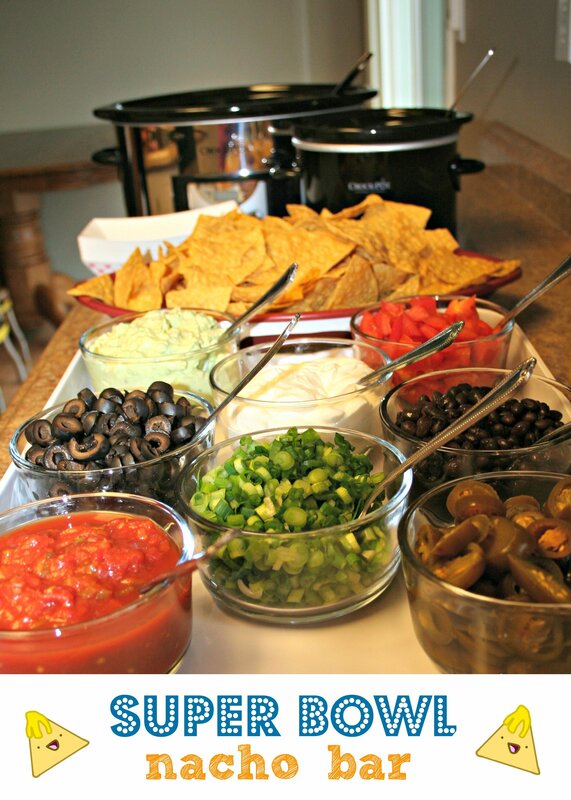 I absolutely love game food, nachos, dips, hot wings etc. 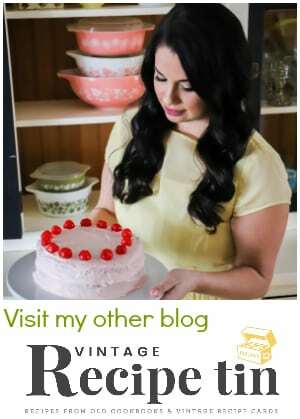 So when I discovered this recipe, I was in heaven! 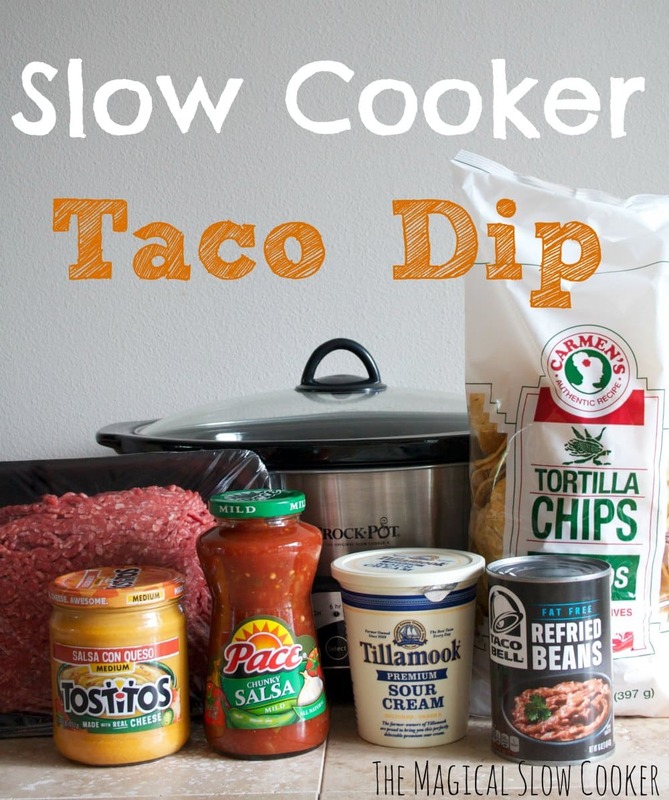 This recipe for slow cooker taco dip is AMAZING! Start by browning and seasoning your hamburger. 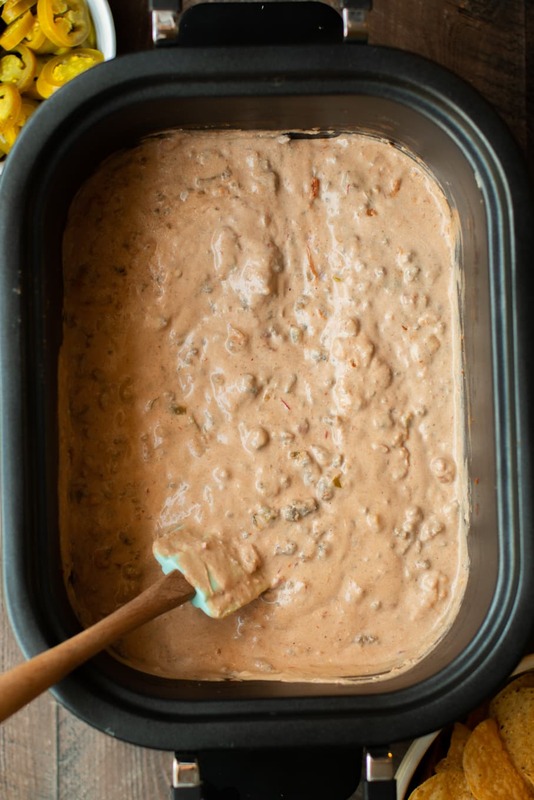 Then add these items to your slow cooker with the hamburger: refried beans, sour cream, salsa, and a jar of nacho cheese. How easy is that? 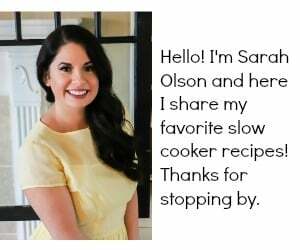 I make slow cooker taco dip when I need to bring a dish for a potluck. Then I know there will be something I like to eat at the potluck, that’s what is important, right? 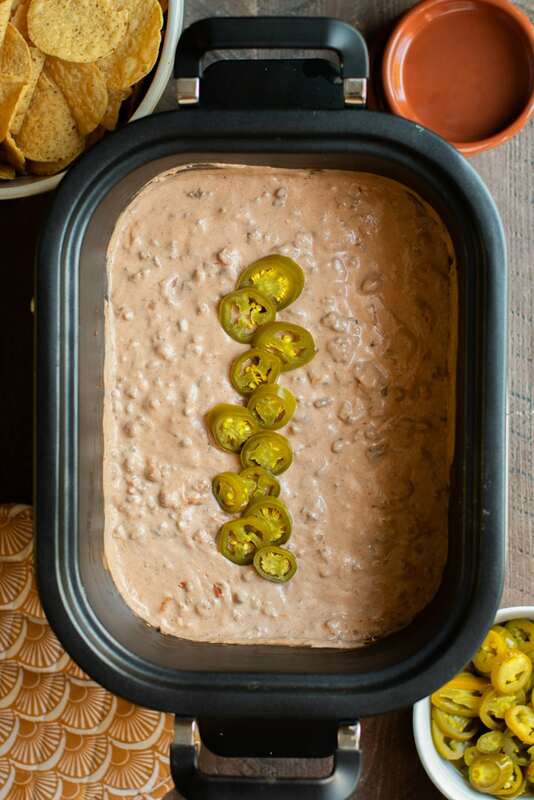 I call this dip my one of every ingredient dip. I’ve made it so many times, I don’t have to look at the recipe! Have a great week! Brown meat in a skillet, add salt pepper, and onion powder. Drain and discard liquid. 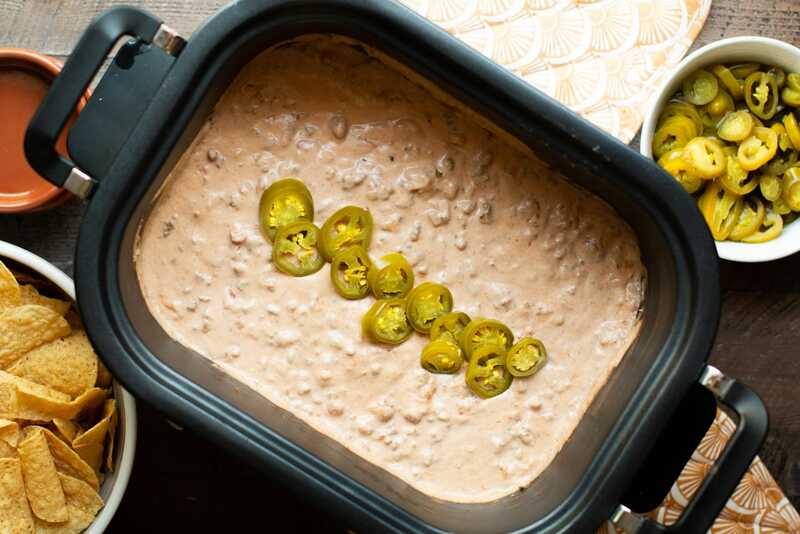 Add salsa, nacho cheese, sour cream, refried beans to slow cooker. 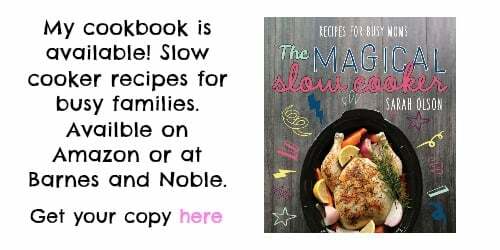 Turn slow cooker to warm while serving. Nutritional values are approximate, if you require a special diet, please use your own calculations. Values do no include chips and are for 1/12 of the recipe. 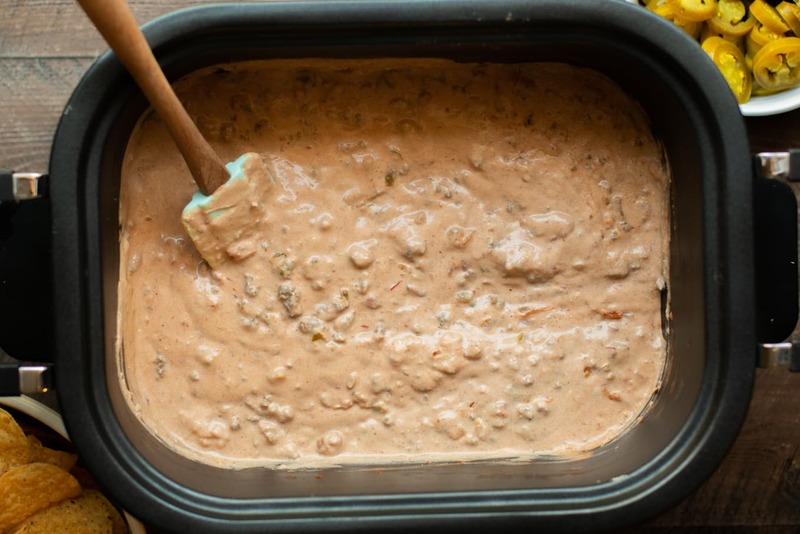 Could you use ground turkey? I don’t see why not. I would season it well, maybe with a little taco seasoning? 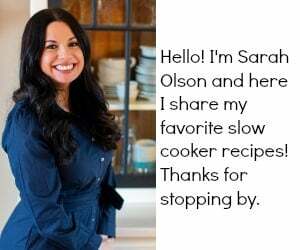 Thank you…I really love tacos..now i can make taco dip…will cook this today! I used spicy deer sausage instead of ground beef and cooked on stove top since I didn’t really have two hours to wait for crockpot. It turned out great. 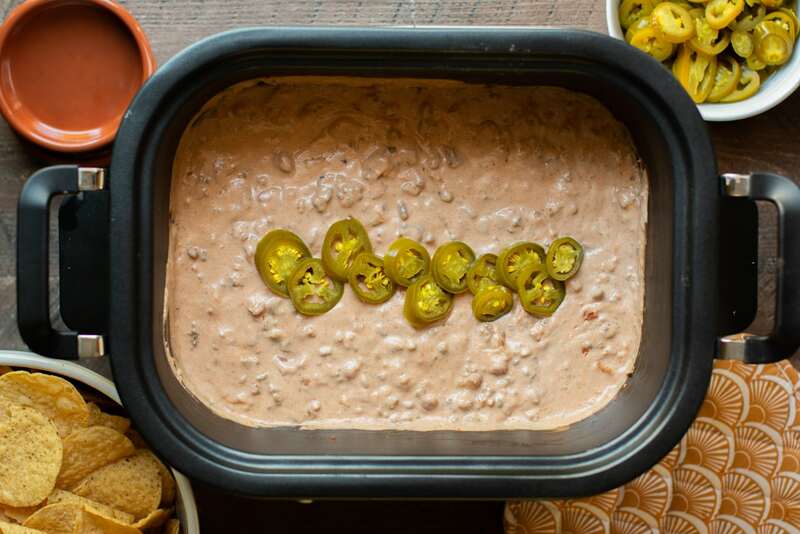 I made a recipe a lot like this for work only mine didn’t call for the sour cream. I had misplaced my recipe, I made it so offten that I thought I remembered it. Well I didn’t, I added a packet of Taco seasoning that the original recipe didn’t call for. I made it with the seasoning and brought it to work. People wanted to know what I had done different. Now I got all the girls from work making it with Taco seasoning. Taco seasoning sounds really good! Thanks for the tip! So, you didn’t add the sour cream to it? And you added the taco seasoning packet as well as the other Ingredients? I like sour cream, but my husband does not..Maybe I could cut down on much I put into? Do you think this could be made vegetarian…without the ground beef? Yes! I’ve often thought of doing that. It would be great. Oh, thank you! I’m going to try it out this weekend for the Super Bowl! Can i freeze half of this? I usually cut recipes in half, but if i do with this ill waste the other half of all the ingredients. 🙁 so i f make a full recipe i can freeze the orher half and reheat in slow cooker right????? I think maybe without the sour cream.